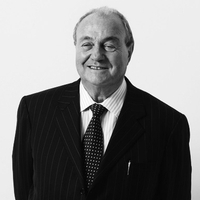 Ernesto Gismondi is the founder, Chairman of Artemis Group. It 'was born in Sanremo (IM) on December 25 1931. In 1957 she has obtained a degree in Aeronautical Engineering from the Polytechnic of Milan and in 1959 graduated in Missile Engineering at the School of Engineering in Rome. Since the early '60 dedicated to the design and production of equipment for lighting, founded with the designer Sergio Mazza Studio Artemis Sas, from which will develop the Artemide Group. In both examples, the international designer, participating as one of the originators, in "Memphis", avant-garde movement that led to a profound change in the design sector in Italy and in the world and drawing different equipment successful for the Group. Under his leadership, the Artemide Group sees growing its market share over the years and increasing its international presence, becoming one of the leading players in the field of design lighting, a role that has earned him important awards such as the Compasso d'Italia Award. Career Gold (1994) and the European Design Prize (1997). From 1964 to 1984 he was Associate Professor of Missile Engines at the Milan Polytechnic. He has been vice president of ADI - Industrial Design Association and has held numerous positions within the Industrial Association of Lombardy (Assolombarda), Federmeccanica, Confindustria, Autonomous Body of Milan and at the Ministry for University and Research. He is also a member of the Scientific Committee for ISIA (Higher Institute for Artistic Industries / Industrial Design) of Florence, with the appointment of the Ministry of Public Education, the COSMIT Board of Arbitrators (Organizing Committee of the Milan Furniture Fair) ) and CNEL, on the designation of the Presidency of the Republic. He has presided and participated in numerous seminars, in Italy and abroad, on design and its developments and on energy saving applied to lighting. In the 2008 he received the Ernst & Young Award "The Entrepreneur of the Year 2008" for the Innovation category, in addition to the prestigious appointment as Cavaliere del Lavoro conferred by the President of the Republic Giorgio Napolitano. In the 2009 he received the Ernst & Young Award "The Entrepreneur of the Year 2009" for the Comunication category.